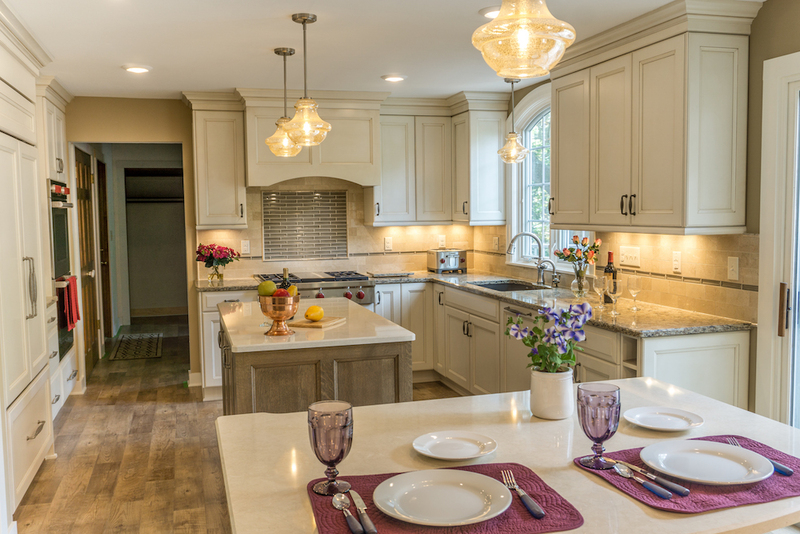 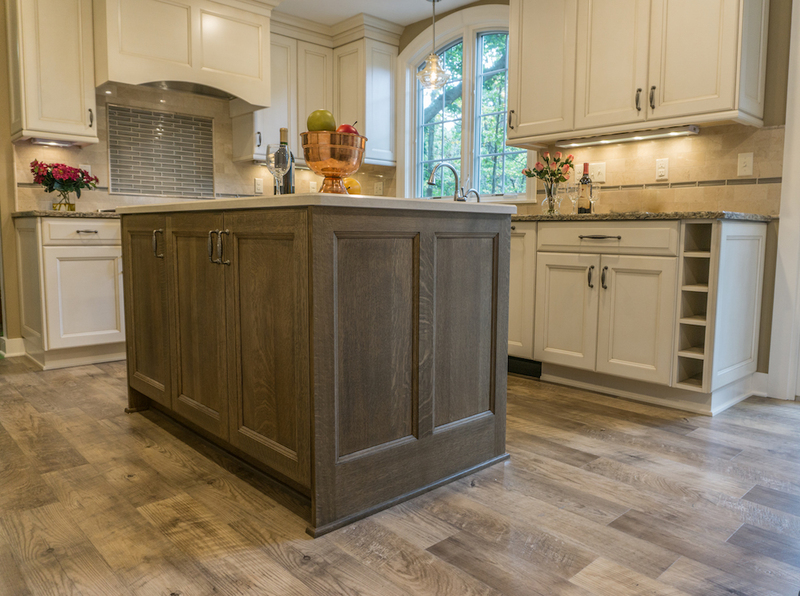 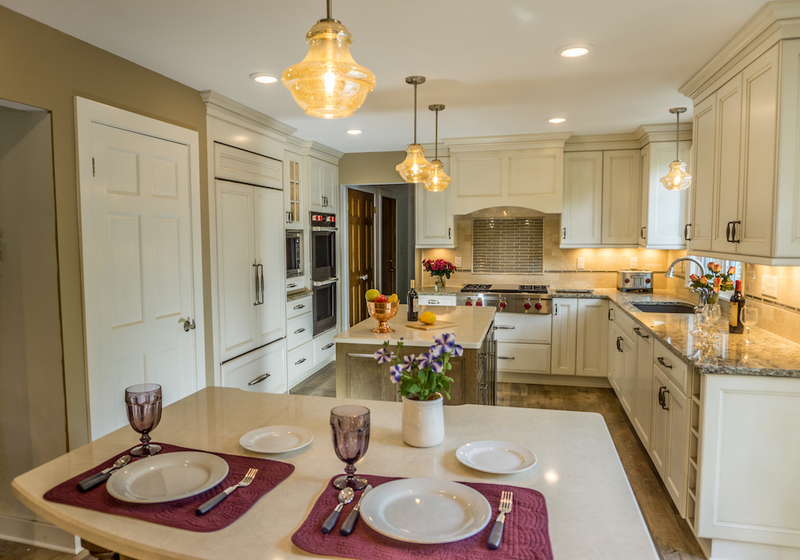 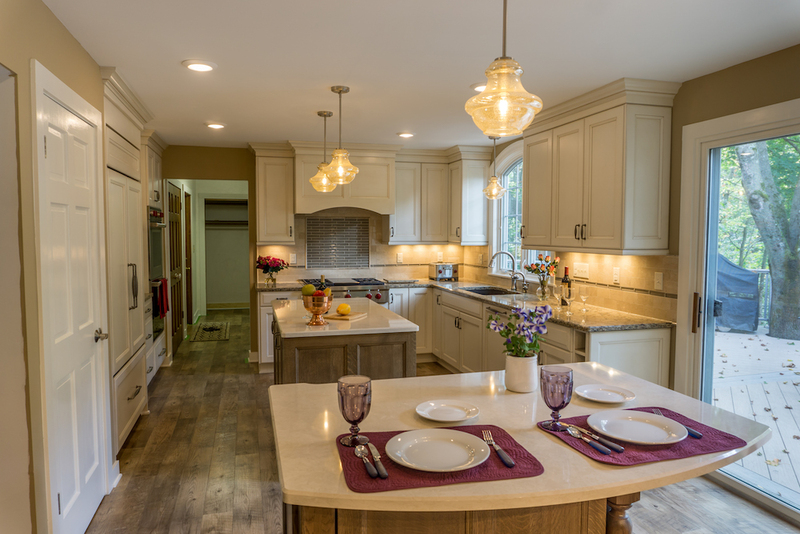 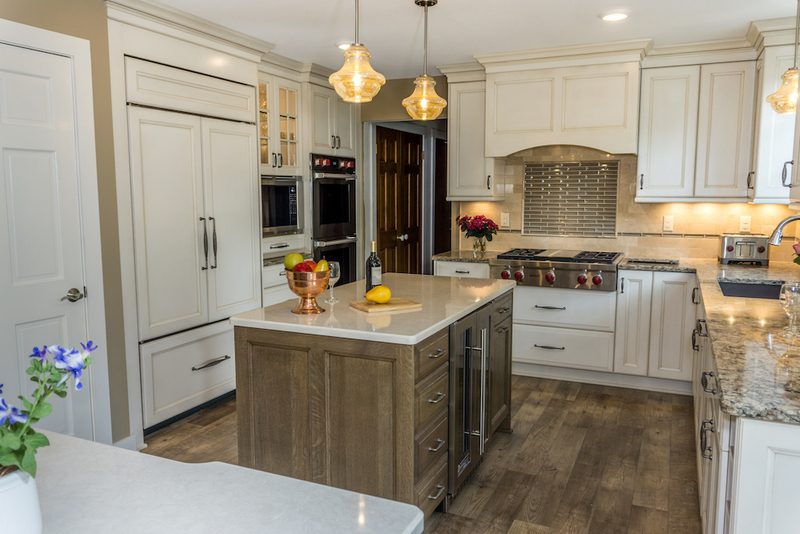 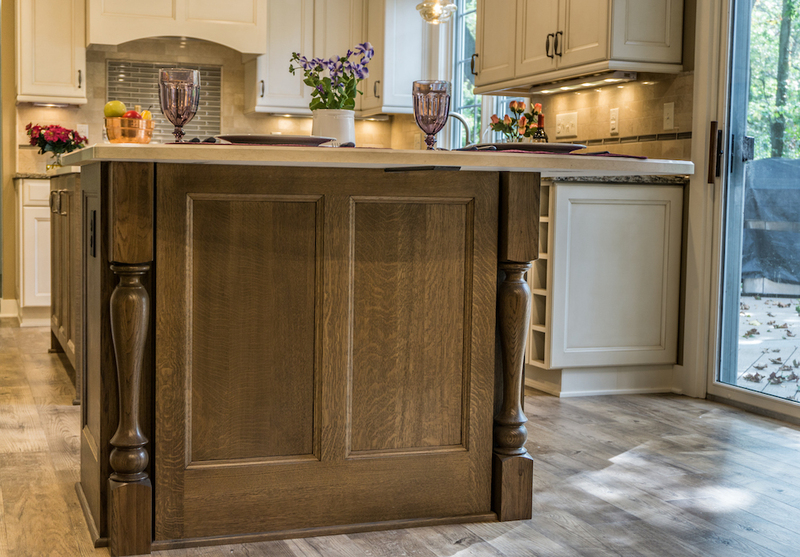 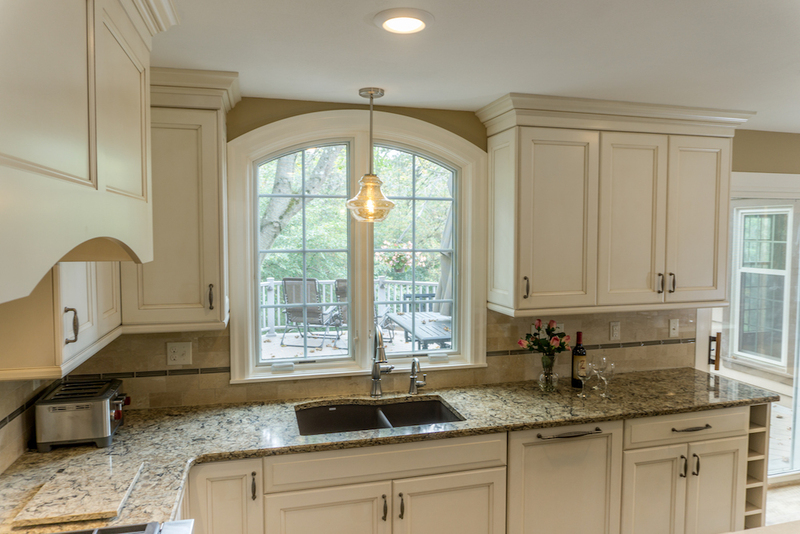 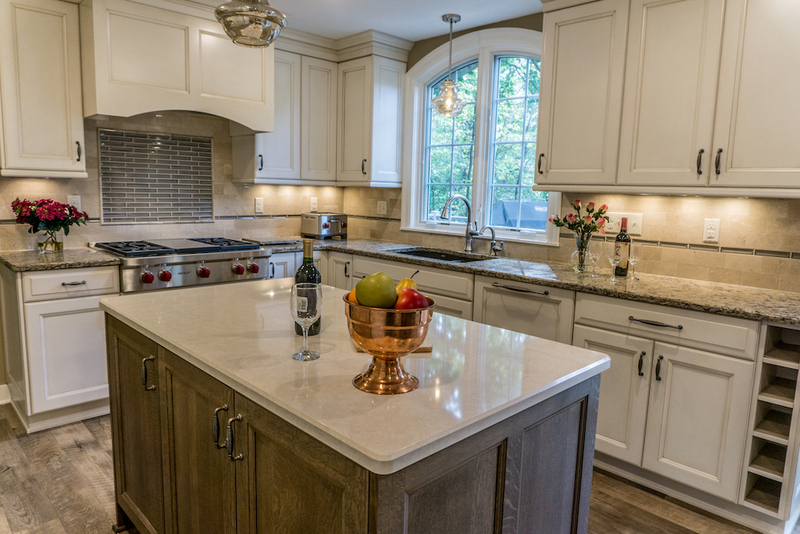 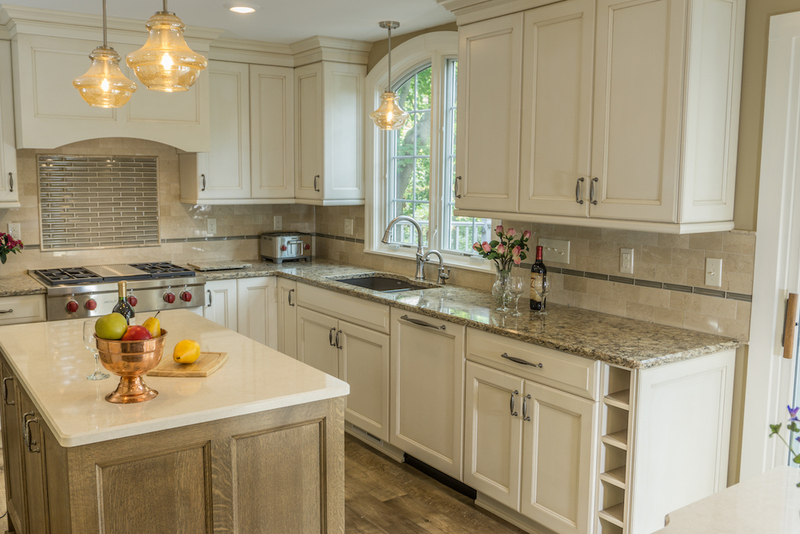 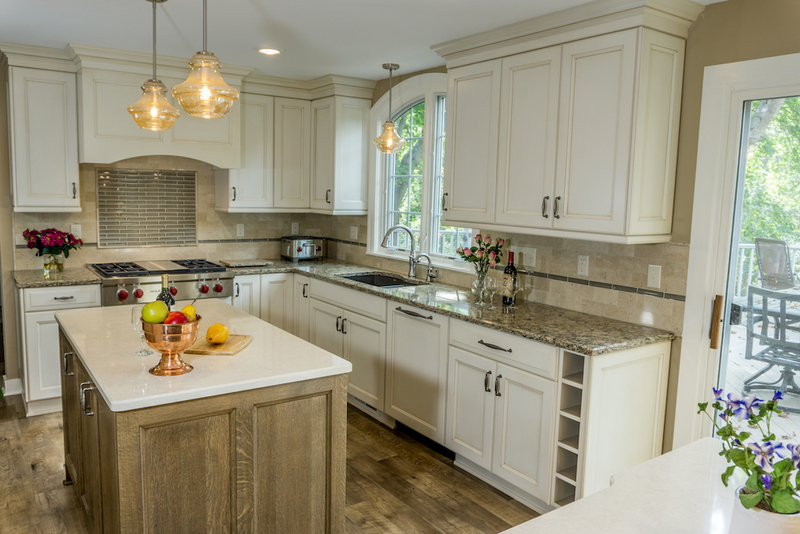 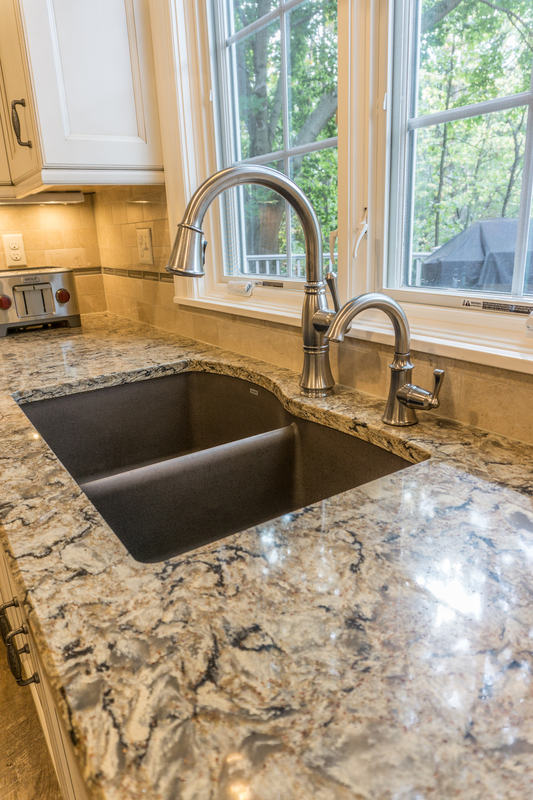 The homeowner wanted an updated elegant yet country feel with two islands. 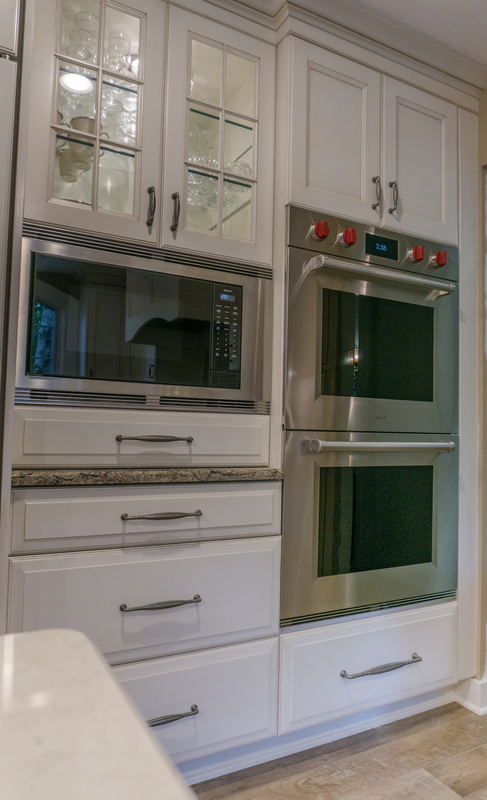 The new double oven, Sub Zero refrigerator, warming drawer and tall microwave cabinets are all on one wall to maximize the open feeling of the rest of the room. 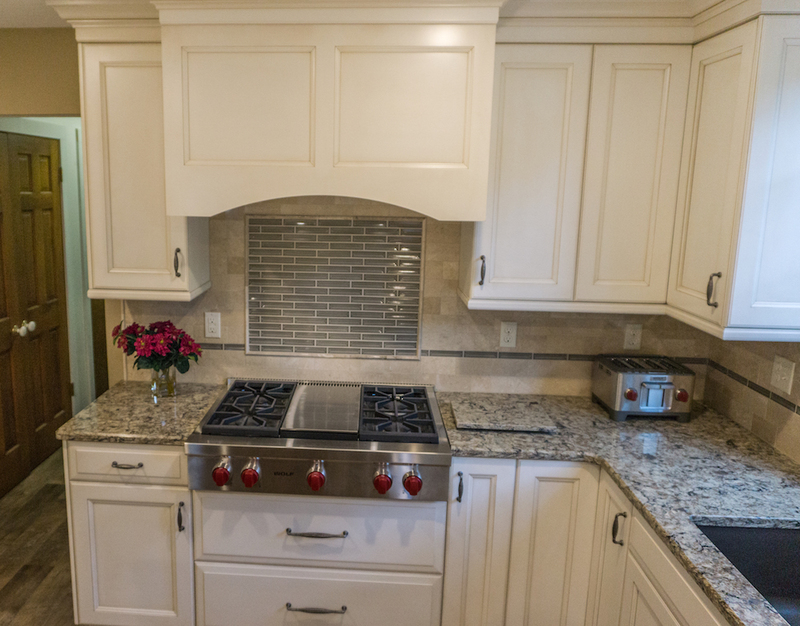 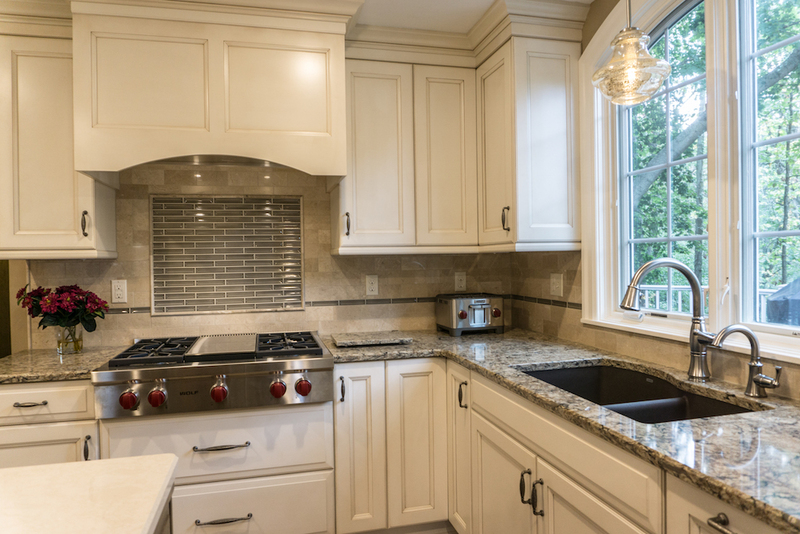 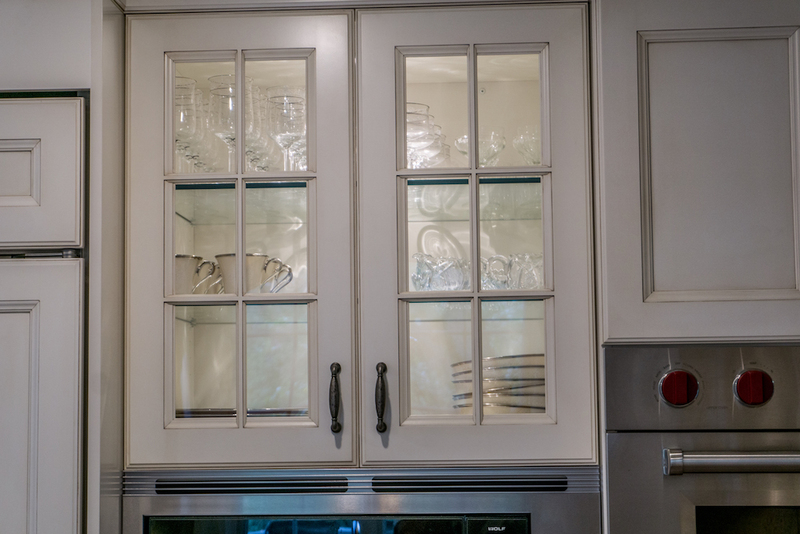 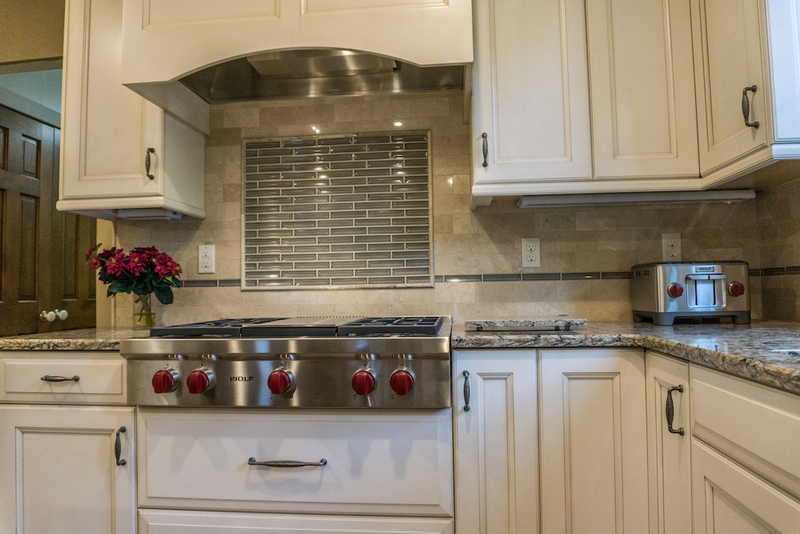 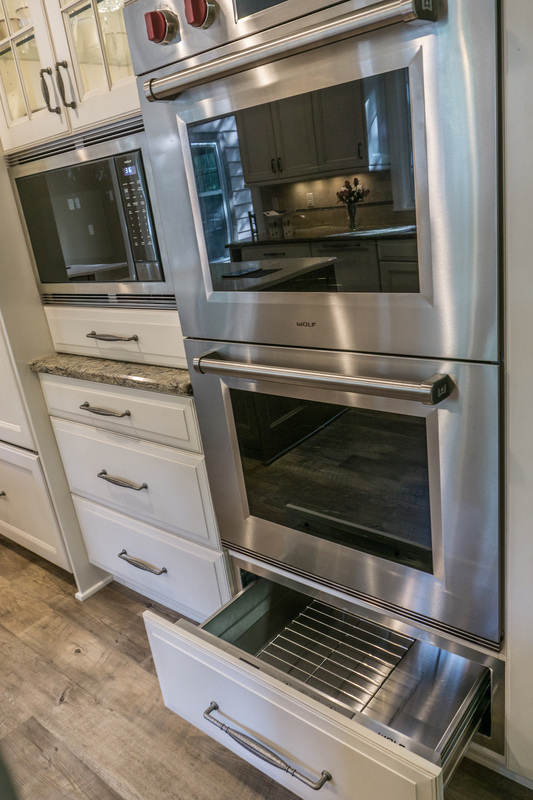 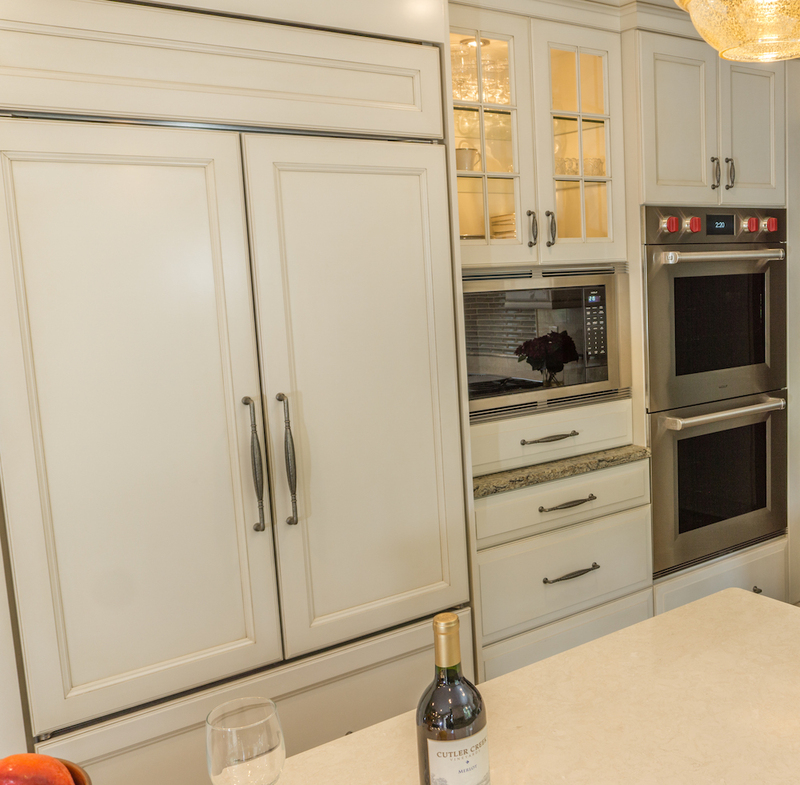 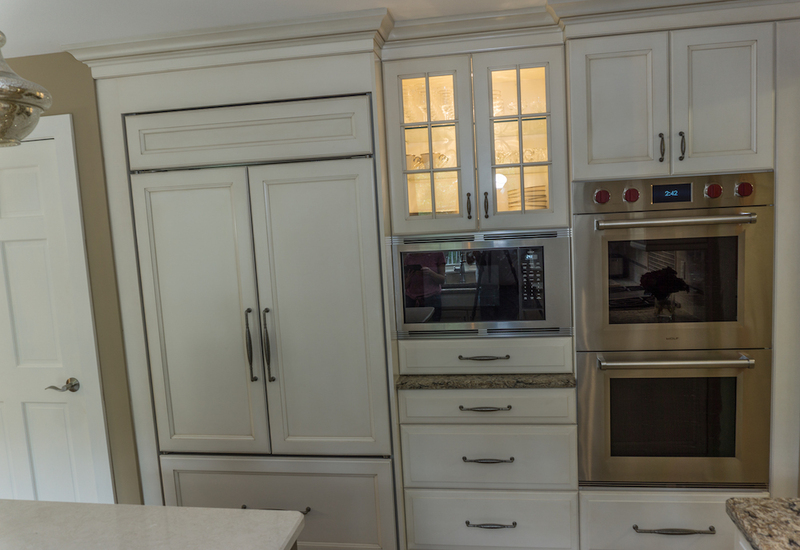 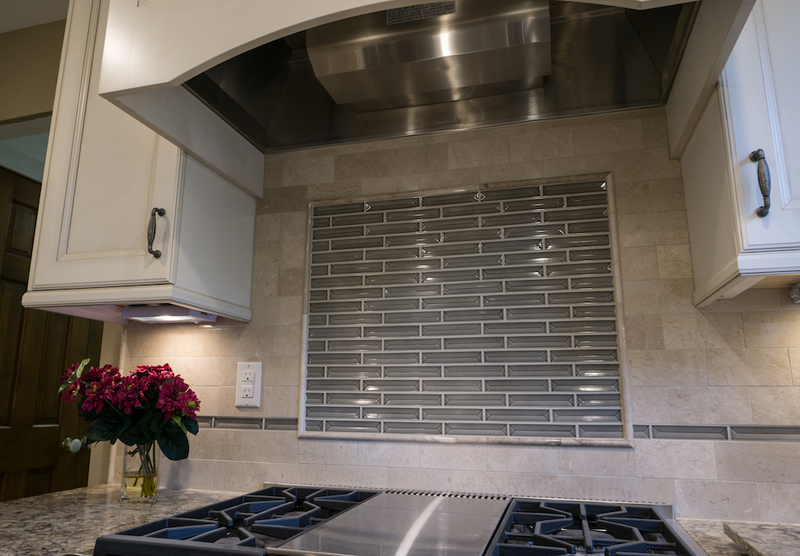 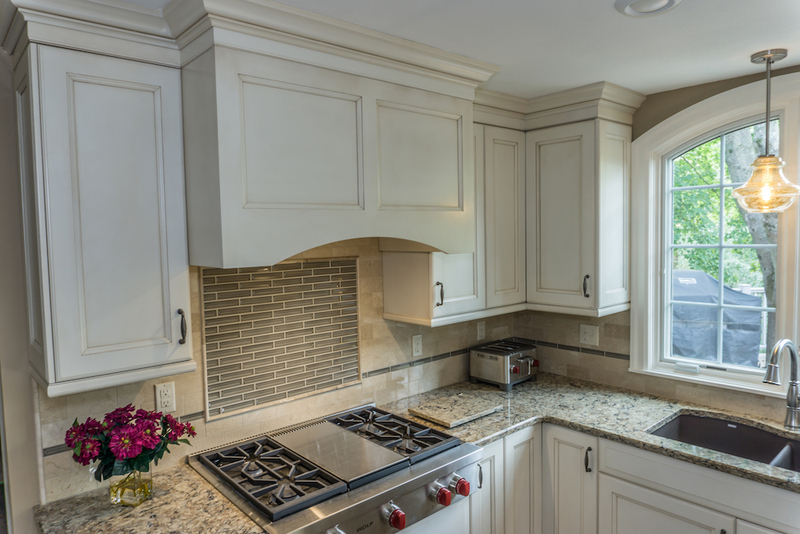 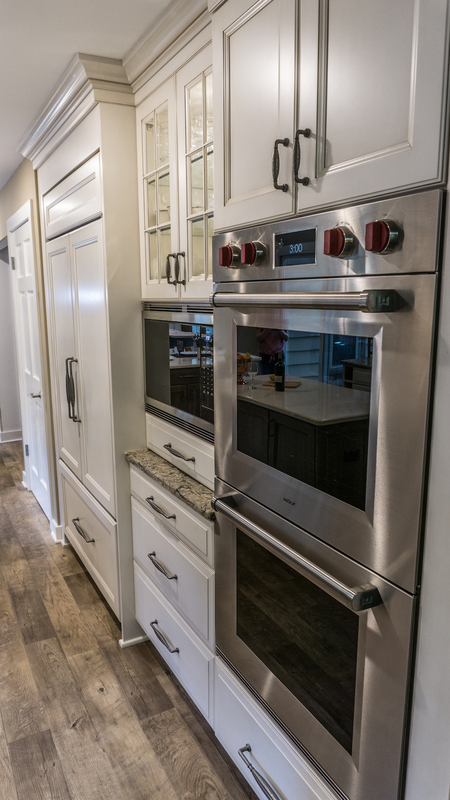 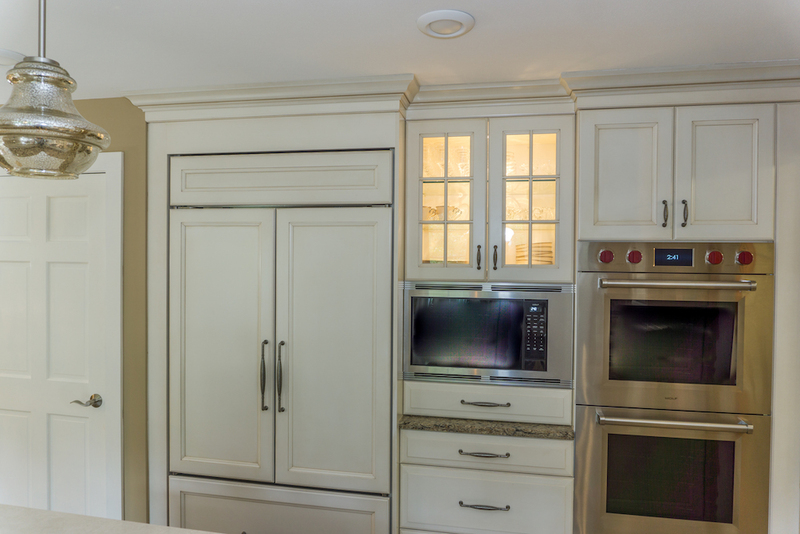 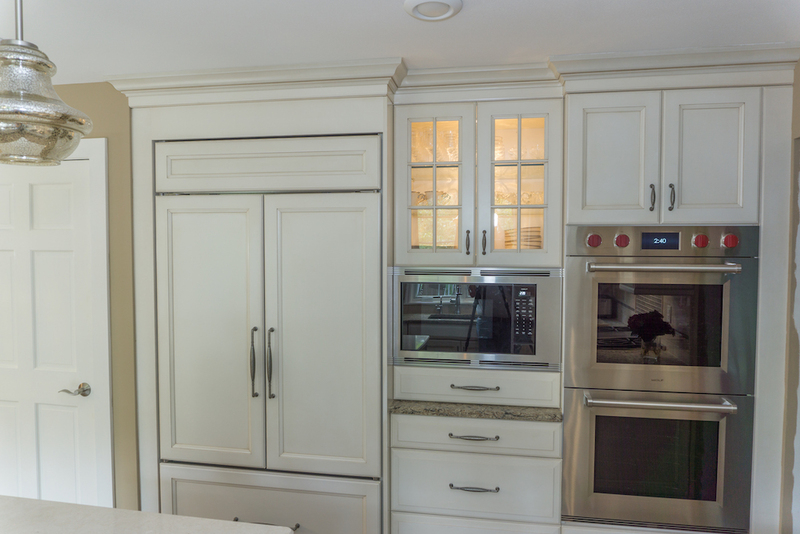 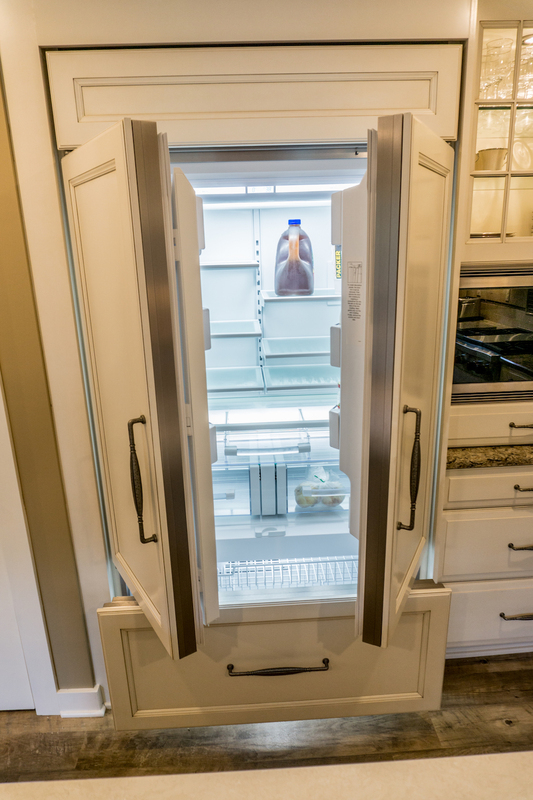 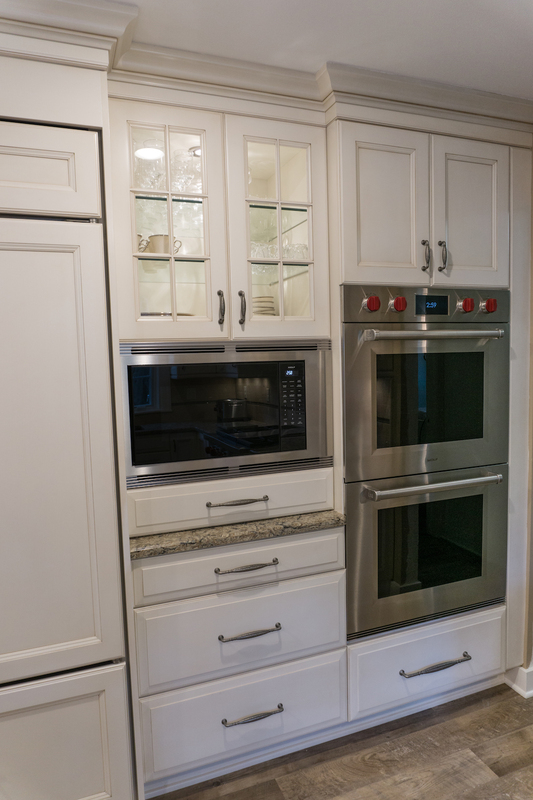 The tall microwave cabinet is accented with glass doors, interior lights and glass shelves.New cabinets are full access Greenfield cabinets, painted Glacier white with a brown glaze. 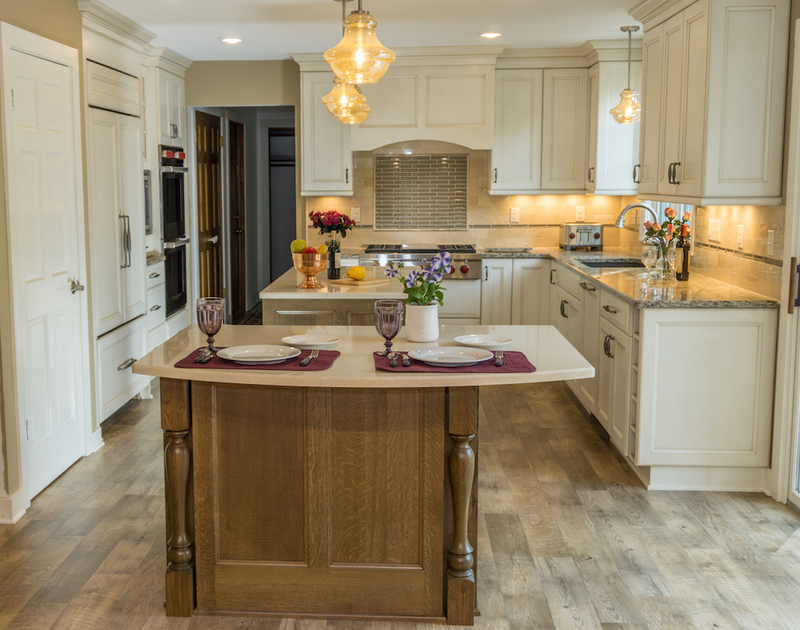 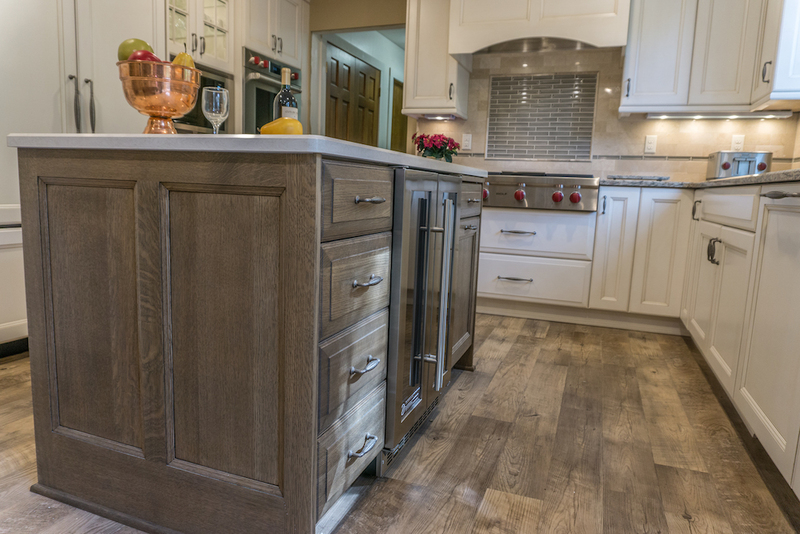 The new kitchen is bright and beautiful with an understated country feel that perfectly sets the tone the homeowner was asking for.